Most of the items that can be found in brick and mortar shops can now be purchased online, and lottery tickets make no exception. The reason for why so many prefer to purchase them over the Internet, is to save time and to have them delivered to their doorsteps instead of driving to the lottery stores themselves. The problem is that the laws prohibit companies from doing online lottery sales, which means that not all of those who take their chances are legitimate vendors. South Carolina intends to make this kind of online shopping legal, and join other states who did the same a couple of months ago. There are plenty of reasons in favor of online transactions, and despite the fact that there are a few shortcomings, these are not enough to offset the benefits. One of the reasons for why South Carolina intends to join Illinois, Georgia and Michigan and allow online lottery sales, is that they expect a consistent growth. Many of those who don’t have the time to drive to the local convenience stores and don’t like waiting in long lines, might be tempted to purchase the tickets over the Internet. The real goal is to attract new players as well, because the truth is that when placing an order is only one click away, the odds of resisting temptation are higher. 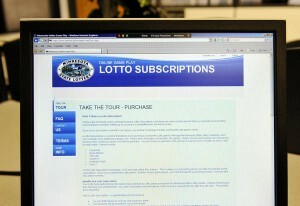 The numbers suggest that the online lottery sales will increase the number of sold tickets by up to 10%, which in turn would boost lottery profits. Given the fact that a fair percentage of the revenue is funding good causes such as school buses, libraries and similar projects, it looks like everyone would benefit from these legislative changes. Before online lottery sales can become a reality in South Carolina, lawmakers will need to make significant adjustments to existing legislation. This would pose a unique problem, because despite the numerous advantages, not everyone is in favor of selling lottery tickets online. 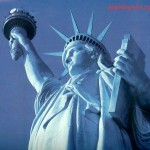 Merchants are at the forefront of the opposition, as they dislike the idea of losing the monopoly on sales, but it is unlikely for their resistance to be sufficient to block this project. The two states that allow online lottery sales report higher revenue generated by lottery tickets, which means that their experiment has succeeded. There are many other institutions who have embraced the Internet as a catalyst for finalizing various projects, and the U.S. Census Bureau serves as an excellent example. 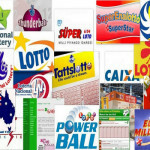 The lottery can enjoy the same benefits, as online lottery sales will translate into lower expenses, and a steep decrease in operational costs. 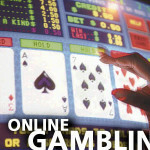 Read about the The most trusted online lottery ticket sellers now.